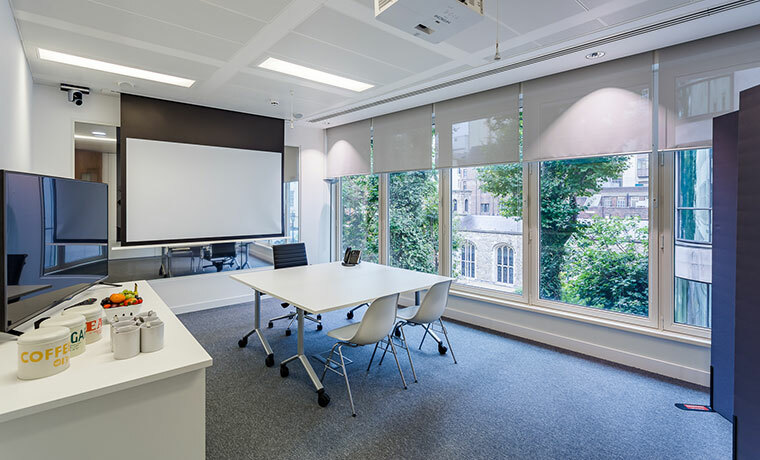 Oxford Circus studio and Bond Street client viewing rooms overlook the tranquil and peaceful surroundings of the Queens’ Savoy Chapel and private gardens. Bond Street client viewing room can seat 7 clients comfortably with the participant room holding groups of 8 seated boardroom style. 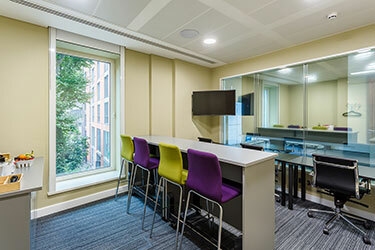 The Oxford Circus and Tottenham Court Road studios have a moveable partition wall set between them that can open up to make one very large studio space (size 12.4 m x4.1 m), ideal for film screenings, presentations and workshops. It can comfortably accommodate 40 or more people theatre style.